Asia Today, formally Marvels of China: Pathways to the Pacific Rim, provides a colorful, lively international perspective on China and the Pacific Rim. It introduces educational, cultural, business and travel opportunities for Chinese and Americans. The show features news of business, educational and cultural events, and reveals historical and cultural ties between America and China as we promote and strengthen understanding and friendship between the peoples of America, China and the Pacific Rim. Born and raised in Greenwich, Jeffrey Bingham Mead is a direct descendant of the 17th century founders of the Town of Greenwich, Connecticut USA. For the past 20 years Mead has divided his time between Greenwich and the Asia-Pacific, based in Honolulu, Hawaii. Mr. Mead is president of the Honolulu-based The Pacific Learning Consortium, Inc., with an East Coast office in Greenwich. The PLC is an international educational company and consulting firm specializing in cross-cultural exchanges, travel, student recruitment and professional learning. In September 2015, Mead was an invited guest of the Chinese government to the 70th year commemorations held in Beijing marking the end of World War II. Mead’s father was among the American ‘China Marines’ who witnessed the surrender of the Japanese Empire in Tianjin and was stationed there and in Beijing. The China Marines are the subject of a book project. Mead has been a university-level professor to American and international students from the USA, Japan, South Korea, China and other East Asian nations in the areas of history, business communications, education, personal and public speaking, writing, English as a Second Language (ESL), hospitality and tourism. He has taught at Hawaii Tokai International College, the Honda International Center at Kapiolani Community College/University of Hawaii System, and other schools. Mead has also lectured at the China Institute in America, New York City. Mead is the the co-founder and president of History Education Hawaii, Inc., the non-profit Hawaii council allied with the National Council for History Education (NCHE). Mead is a former board member and trustee of the Greenwich Historical Society and former local history editor and contributor to Greenwich Time. He is a member of the China Institute in America and the Asia Society of New York. 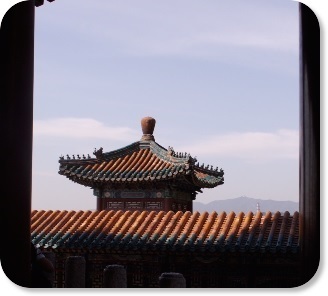 Visit Marvels of China: Pathways to the Pacific Rim's Blog, Facebook, and archived shows.